Sonic love travels in many dimensions—through visceral pathways of the senses, as a uniting force on dance floors everywhere, in movements spanning entire eras to unify—whether souls, states or nations. 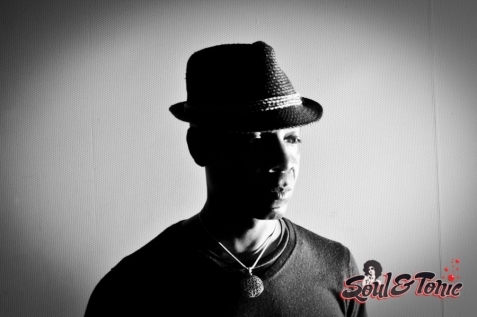 And as sonic love relates to house music, Marques Wyatt is a seminal force. A robust musical foundation had been laid for the Santa Monica born and bred impresario from an early age: his jazz-loving father exposed him to the greatest musicians of the genre, the eldest of his three brothers performed in a psychedelic funk band, and his other two brothers seasoned Marques’ musical palate with prolific soul artists of the era such as Earth, Wind and Fire and Stevie Wonder. Always a music fanatic, Marques had acquired over 2000 records before he ever approached the decks. Much of this collection was assembled during his teenage clubbing days in Los Angeles as he noted record names at the DJ booth while his friends scoured the dance floor for cute girls. Following that first gig, doors began to open for Marques as his blooming reputation spread via word of mouth. Marques performed as a mobile DJ throughout Los Angeles while attending college. Rather than pursue a degree in civil engineering, he followed his true passion for music… a passion that drew him to New York. During a trip to the city in 1986, Marques ventured into the legendary World Club. Mesmerized by the rhythmic emanations from the speakers, which happened to be the pitch shifting of one Frankie Knuckles, a magnetic force pulled Marques to the DJ booth, where he spent three hours captivated by Frankie’s deft pairing of disco-derived sounds, raw percussion and gospel vocals. A bond formed between the music lovers, as Marques was inspired by Frankie’s humble and purposeful presence. In years to come, Marques’ keen tastes were further forged in the house fires of New York’s finest: Larry Levan, Tony Humphries, Frankie Knuckles and David Morales. Following his New York experience, Marques introduced the East Coast sound to his native Los Angeles via legendary under- and aboveground parties, the most renowned of which was “The BBC.” Recalling Osko’s Disco from the cult movie Thank God It’s Friday, Marques chose the historic location as the stomping grounds for the commencement of “The BBC.” Marques artfully blended choice house tracks on the decks amidst the ghosts of Osko’s Disco past. As the good word continued to spread throughout Los Angeles, the city’s most respected promoters sought out Marques to infuse his East Coast-influenced sound into the LA underground. It wasn’t long before Marques’ schedule overflowed with bookings at various warehouse venues. In effect, Marques was the artery of the new movement’s heartbeat—at the tender age of 21. After legal constraints forced the thriving movement from downtown warehouses to commercial clubs, celebrity hotspot Helena's scouted Marques to reinvent the club’s musical direction. By coupling mainstream music with house rhythms during his sets, he lured some of the most discriminating socialites to the dance floor. Marques had planted the seeds of underground house music, and a revolution was flourishing. In the ensuing years, Marques’ prowess as a talented DJ and promoter continued to earn him recognition as one of the most sought-after artists in the genre, domestically and internationally. Marques promoted some of the most legendary house parties in Los Angeles such as “MAC's Garage,” the first alcohol-free night in the city introducing live house acts such as Cece Rogers, Adeva, Jomanda and Liz Torres, as well as DJ David Morales. He also co-promoted the legendary afterhours “Does Your Mama Know” parties with partner Tony Largo. Another weekly event, “Prague,” helped establish an enduring alliance between the house music movements of the East and West Coasts. For the closing night of “Prague” in 1994, Marques booked Masters at Work’s Little Louie Vega for the first time in the Los Angeles. Following the event, Louie invited Marques to perform at Sound Factory Bar in New York—a pivotal moment in earning Marques the respect of a discerning East Coast house community, along with his performances as one of the few elite West Coast DJs invited to the thriving jazz funk mecca of Giant Step. Returning to the music scene in Los Angeles true to his inner visionary, Marques introduced Los Angeles to acid jazz through “Brass” with partners Orlando Aguillen and Paul Stewart. The event furthered ventures into uncharted territory by debuting live performances of high profile acts as Brand New Heavies, Jamiroquai, Digable Planets, Galliano and Young Disciples. Residencies at Love, Sound Factory and Release in San Francisco followed as Marques continued playing his own brand of uncompromising, soulfully organic house alongside talents such as Frankie Knuckles, Louie Vega, David Morales and Danny Tenaglia. Marques’ keen sixth sense for organizing epic parties culminated in his weekly institution, “Deep,” which began in 1998 and continues to thrive today as an internationally esteemed sanctuary for house music lovers. Several of the finest musicians have performed at “Deep,” in addition to the aforementioned: Timmy Regisford of Shelter, David Morales, Ben Watt of Everything but the Girl, Dimitri from Paris, Mark Farina, Miguel Migs, and of course Louie Vega, who plays multiple times per year. Marques uses the vast popularity of the event as a springboard for charity and social awareness via DeepCares, a non-profit division of “Deep” that organizes and sponsors purpose-driven events benefiting different facets of local and global communities. Marques has also channeled his gifts in the studio, releasing tracks and remixes on revered labels Om Records, Strictly Rhythm, King Street, Nervous and Yoshitoshi. His partnership with Om Records began when founder Chris Smith invited Marques to release a mix. 2000’s Sound Design, Volume 1 was subsequently released to global fanfare and critical acclaim, and the title track of his 2002 Om release, For Those Who Like to Get Down, became a worldwide club anthem. After a necessary hiatus to focus on guiding the “Deep” vessel, Marques has returned to the studio, remixing and creating much-anticipated original material.